It’s no coincidence the egg hunting tradition that typically accompanies the Easter holiday also coincides with the annual egg-laying season for many birds. 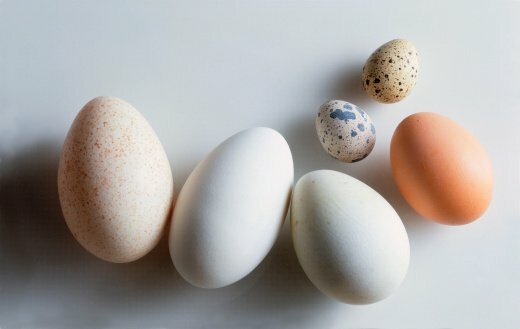 While chicken eggs are of course the most common bird egg we humans consume, that’s largely because chickens produce eggs in great quantity and frequency compared to other birds. And chickens do not require as much space, legally speaking, as other fowl. Because of this we have largely been deprived of some egg-loving goodness from our most common wild birds. Want to have an adventurous Easter Day and a more traditional Easter egg hunt? 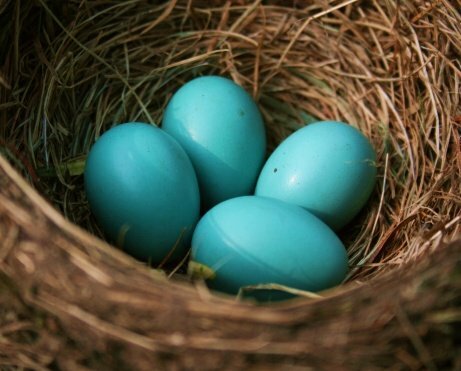 Here are six different bird eggs you could possibly find in your own backyard. Seagulls are the pesky birds of any seaside community. Hotel resorts pay falconers to shew the good-for-nothing gulls away. But wait, maybe there is a use for this proliferate pest in the form of its eggs. 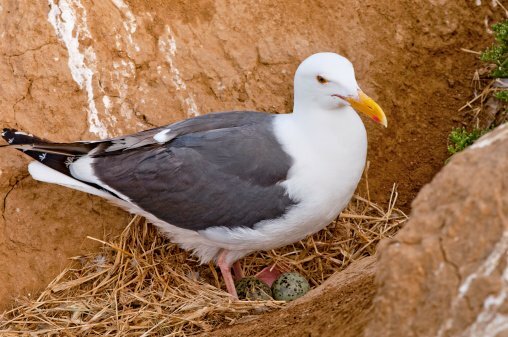 Alaska natives typically eat seagull eggs in the spring and in Norway they eat them as a delicacy. Said to be 2-3 times on average as large as a chicken egg with a milder flavor, in the North of Norway seagull eggs sell for $3-4 a piece. Ever think those pigeons have no use? Think again. Plenty of people raise and harvest captive pigeons for their meat and eggs, so it’s no surprise that those wild pigeons at your neighborhood park could be popping out the ingredient for that perfect omelette right under that roof over there. Bear Grylls in his reality show Man Vs. Wild filmed an episode where he scaled to the rafters of an abandoned warehouse for a raw pigeon egg he ate shell and all. As well as spring roosting season, it’s also turkey hunting season, which means these ever-elusive birds will be even harder to find. Every good hunter should know the behavior of their prey. So why not pick up a few protein-rich turkey eggs while you’re at it? Turkey eggs were the preferred egg of the land when the fowls roamed country in more abundance. But compared to the chicken, they require too much space and produce fewer eggs. In Spokane, Washington residents are urged to harvest wild Turkey eggs to quell the local population. The Ostrich egg is the Goliath of all eggs. They say you can feed an entire family on an Ostrich egg, depending on the size of the family and how hungry they are. At an average of 3.1 pounds, ostrich eggs are 20 times the weight of a chicken egg. Not many people have wild Ostrich roaming around, but if you live in Arizona a great place to visit is the Rooster Cogburn Ranch near Tucson, Arizona. Here you can ride an Ostrich and eat an Ostrich burger with a fried Ostrich egg all on the same visit. The next time you’re down in the weeds looking for a golf ball at the local country club, take a look around for a duck nest. These are some of the best wild eggs you can run across, according to a blind NPR taste test. In the Philippines they do some really strange stuff with the duck egg called “balut” where they let the embryo partially develop before boiling it. Doesn’t that sound delicious? I’m running off to get one right now. Goose eggs on the other hand, not so great, according to the NPR tasters. But goose eggs have a larger, often tastier yolk that makes them ideal for pasta. A good idea for large eggs like goose and ostrich is to use them to make an omelet. 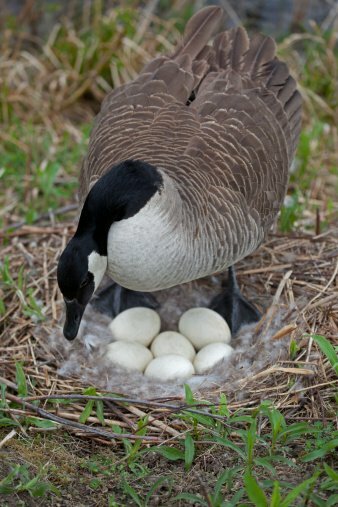 Geese only lay about 40 eggs per year, so get out there and get some goose eggs while you still can.